We invite you to visit the Polish capital, a city with a unique atmosphere, the extraordinary story worth exploring. Warsaw has suffered, especially during World War II, when it was almost completely destroyed, but today captivates with its beauty. Cracow is one of the oldest and the most beautiful cities in Central Europe. It is considered to be historical and cultural capital of Poland. It has a special climate and charm created by centuries of history and cultural wealth. You can experience this by visiting the city. So why not to come here for a weekend or even a longer break? Torun, often called "Cracow of North", a city with a unique atmosphere, beautiful sights, great cultural and academic significance. Nicholas Copernicus birth place. The city, which miraculously survived in an almost intact all historical wars and turmoil. A city established by the Zamoysky family in 1624, called “Padwa of the North”. It has numerous historical places to visit - enlisted at the National Culture Heritage UNESCO. 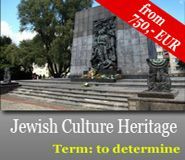 The city is also strongly associated with the history of Polish Jews. There are two Jewish cemeteries in Zamosc. Zamosc synagogue is one of the greatest monuments of Jewish culture in Poland. We would like to invite you to discover the well-known parts of Poland famous for its rich history with castles, folk music, handcraft and Vodka. Our country also means beautiful countryside, lakes, the Baltic Sea with the bright sandy beaches, the peace and charm of the Tatra mountains, national parks, health resorts. In addition, you will be able to enjoy traditional Polish cuisine and experience the hospitality of Poles. Our intention is to focus on main attractions worth visiting in Poland.Come along - we look forward to seeing you. No matter if you choose round trips, day trips or city breaks, our aim is to show you the real Poland with its nature and beauty. I am sure you won’t regret and you will wish to come back again. Accessible Poland Tours pośredniczy w rezerwacji biletów na przedstawienia teatralne i imprezy kulturalne odbywające się Warszawie. Usługa dostępna jest głównie dla grup. Osoby prywatne, które wykupiły jedną z naszych imprez również mogą skorzystać z tej propozycji. Prosimy o dokonywanie rezerwacji przynajmniej z 1-2 tygodniowym wyprzedzeniem. Biuro zastrzega sobie prawo do odmówienia usługi bez podania przyczyny. Churches and historical objects are attractions, without which many tourists don’t imagine city sightseeing. So these cannot fail in our offer under any circumstances. Warsaw has many such interesting objects. We present here a brief information about their accessibility. We hope that it will help you make a decision to visit many interesting places. We have the pleasure to inform that Margaret Tokarska, owner of Accessible Poland Tours has been acknowledged to be Barrier Free Man in the 2009 edition of the competition organized by The Friends of Integration Association. 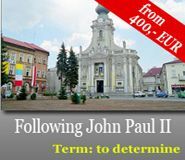 Accessible Poland Tours - Travel Agency for Persons with Disabilities. All rights reserved.